Our story started 60 years ago on Mount Plose, from a spring 1870 meters high in the uncontaminated mountains of Alto Adige, with the discovery of a water now recognized as one of the best mineral waters in the world. We have inherited a lot from those untainted peaks, which were declared a UNESCO World Heritage site. Everything. We have inherited a great love of the land and its fruits, the genuineness, the pureness, the respect. You will find that inheritance in every single drop of Plose products. That water, rich in its unique mineral properties, has inspired more equally unique products. BioPlose 100% organic fruit juices, Tea Collection iced teas and Plose Vintage fizzy drinks are all made according to ancient alpine recipes. All bottled in glass, all genuine and all born of the same mountains that remind us every day of the importance of safeguarding the most precious thing we have: the goodness of nature. Where to find Plose quality. 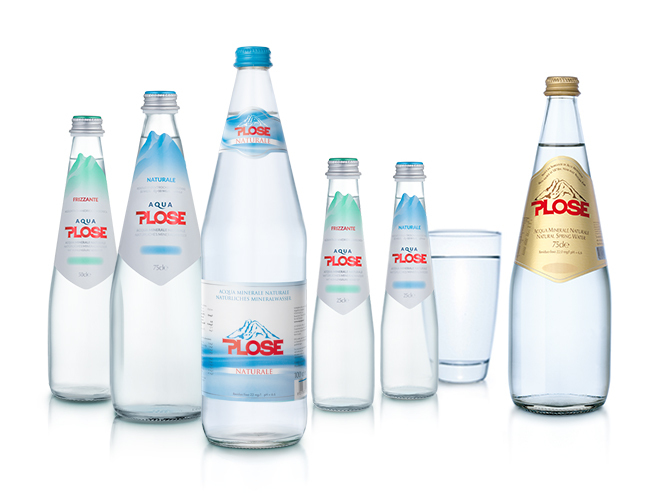 Here is what makes Plose water so special. This is low, very low, making Plose one of the lightest waters in the world. Sodium content is among the lowest. Identical to the intercellular water in our bodies. Plose Water gushes perfect from the spring. We do nothing but bottle it fresh, in glass bottles only, and pack it for its journey. Classic, Gourmet, Luxury or Easy Box. Different dresses, different destinations, a sole purpose: spread pureness in the world. Flavour and well-being in perfect balance. The era has ended for iced teas that are only thirst-quenching. Tea Collection launches the season of the tea-based beverages full of flavour and ingredients with recognised beneficial properties. All fruit, just fruit, nothing but 100% organic fruit. To be enjoyed at home as well as at the bar, BioPlose is an effusion of juice and nectars that preserves all the fruit's natural properties. Pomegranate, Blueberry, Pear, Peach, Pineapple, Orange-Carrot, Apple, Orange and Grapefruit. Try them all. The taste of Plose Vintage Drinks explodes when the pureness of the Dolomites meets the exuberance of Mediterranean citrus fruit. Ancient alpine recipes reproduced with a modern flare in order to bring you all the flavor of the past, today. 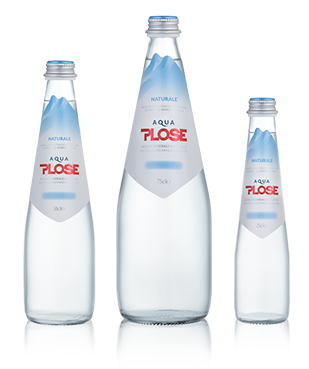 Particularly compatible with homeopathic practices, being pure and light, Acqua Plose water has been selected by the Italian Federation Associations and Homeopathic Doctors FIAMO as its official partner.